Obituary – Powers, Kenneth Roy « Perry High School Alumni Association, Inc.
T﻿rack 9,10,11; Football 10,11, 12; Basketball 10; Newspaper Staff 12; Weightlifting 11,12. Kenny Roy Powers, 61, of Perry, Oklahoma, born on February 27, 1952 in Cushing, Oklahoma to Ben Jack and Dona Lee Henderson Powers. He passed away on Monday, October 14, 2013 in Perry, Oklahoma. 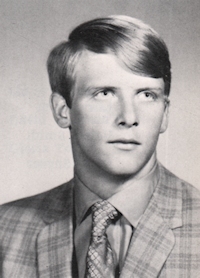 Kenny was a graduate of Perry High School class of 1970. He married his sweetheart and best friend, Barbara Cobb on August 27, 1977 in Guthrie, Oklahoma. He served his country in the United States Army National Guard and received an honorable discharge. Kenny enjoyed fishing, hunting, horses and cooking or smoking meats. He spent some of his time making jewelry, knives and Christmas trees. Kenny loved OU Football but most of all he loved spending time with his grandchildren and family. He was a member of the First Christian Church of Perry, Oklahoma. Memorial services will be held 2:00 p.m., Friday, October 18, 2013 at the First Christian Church in Perry, Oklahoma. Rev. Martin Foster will officiate. 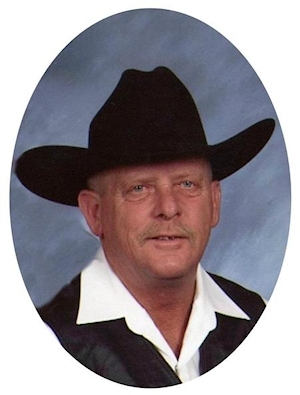 Services are under the direction of BrownDugger Funeral Home in Perry, Oklahoma. Family will receive friends from 6:00 p.m. to 8:00 p.m., Thursday, October 17, 2013 at BrownDugger Funeral Home in Perry, Oklahoma. Memorials may be made to the Oklahoma Medical Research Foundation, Pancreatic Cancer Division in care of BrownDugger Funeral Home, 1010 N. 7th Street, Perry, Oklahoma 73077. Kenny is survived by his two daughters, Ashleigh Wheatley and her husband, Brian of Perry, Oklahoma, Magen Webb and her husband, Les of Perry, Oklahoma son, Kenneth Roy Powers Jr. and his wife, Nolene of Stillwater, Oklahoma four grandchildren, Tucker Wheatley, Kase Wheatley, Spylar Webb and Jaxx Webb all of Perry, Oklahoma lifelong friend, Barbara Powers of Perry, Oklahoma two brothers, Jack Powers and his wife, Linda, Page Powers all of Perry, Oklahoma two sisters, Melody Terry of Tulsa, Oklahoma and Kimberly Tovar and her husband, Vic of Perry, Oklahoma, and several nieces and nephews. He was preceded in death by parents, Ben Jack and Dona Powers one niece, Leah Powers.